I travel with a pen & paper, an open mind and empty tummy through the majestic terrain of Colombia. I sometimes bring my dogs, I always bring my curiosity. 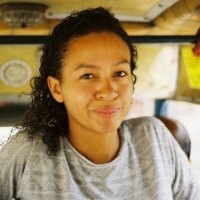 "I write about what I see, taste and feel whilst travelling around Cartagena de Indias and Colombia in general. My focus is local culture - particularly, food, drink, beaches and local experiences. " "Cliche as it sounds, it started on my Gap Year abroad which took me outside my European bubble for the first time. I quickly fell head-over-Havaianas for South America, and made it my personal mission to live in Colombia. Now, I take it upon myself to convince others to discover and eat there way through this incredible country. " "Let me get back to you on that one!"